Everyone knows that Henry Ford was quite the revolutionary. 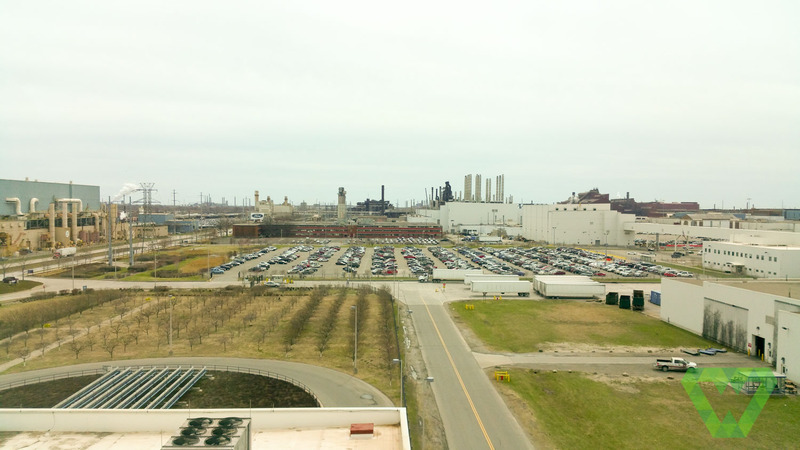 That’s why when I was visiting Detroit, MI and I heard I could tour one of the Ford factories I immediately jumped on that opportunity. The Rouge Complex built around 1920 is 1.5 mile wide and a mile long and that’s not all of it. There are several tour options. I only had a few hours so I chose to do the factory tour only. The factory tour starts off as you load a bus and travel about 15 minutes to the Rouge (the museum and visitor’s center isn’t at the Rouge factory but nearby). Busses come several times an hour. They deposit you at a complex that’s more like a choose-your-own-adventure. There are three films, a small museum, an observation deck and a walking self-guided tour of the manufacturing plant itself. I was able to do all of these in about three hours. 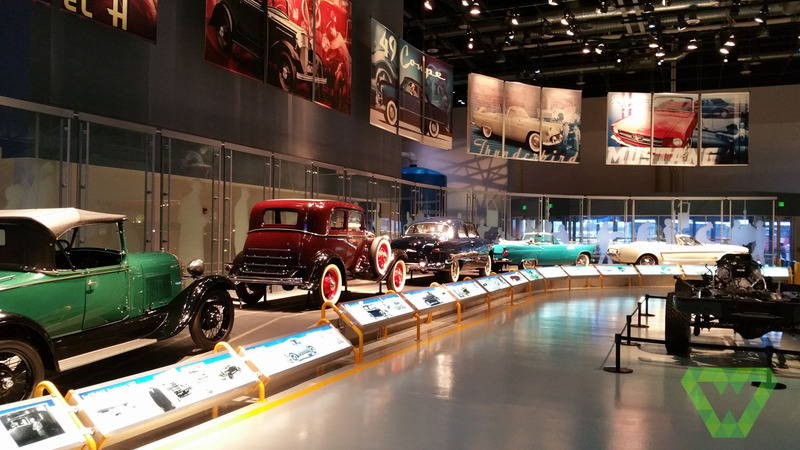 At the visitor’s center they have another theater and a large museum of Ford vehicles. This is not included in the factory tour. At the factory tour you can choose to see one or all of the three films. I enjoyed all three. The third was more of a Disney-like multimedia presentation that was quite impressive. During the film they discuss why Henry’s ideas dominated the manufacturing industry… still today. They give the history of The Rouge and explain it’s name, the lifestyle of the employees and much more. The film was so good I wish I it were online so I could share it with my family. They have several old cars on display as well. When I was ready I went up an elevator to an observation deck for about 8 minutes. Here you have a bird’s eye view of the manufacturing facility. They have lots of placards and maps showing what happens in each part of the building and explanations on how Ford focus on clean and renewable energies. When you’re ready you take the elevator back down and cross over a covered man-bridge to the manufacturing plant. They have safety videos and instructions on how to conduct yourself. This is the main part of the tour, what you pay to see. Ford has built a large walkway above the manufacturing floor that lets you walk at your own pace and watch vehicles being put together. You are close enough to hear the whine of the robots and to see and hear the worker’s talk with their coworkers. I wish we were allowed to take photos but you can only image the legal issues with that. The mile-long self-guided tour has several videos along the way to describe the process. At some points there are car doors, steering wheels, and panels safely suspended above you and around you as you traverse the walkway. It’s very immersive and very ADHD compliant (as I like to say). It made me feel like a kid again. I was able to see every part of the manufacturing and quality control process all the way to seeing them drive the vehicles off of the assembly line. I was sad that my time was short and I had to leave. I boarded the next bus and took the 15 minute ride back to the visitor’s center and parking lot. Ford has gone out of their way to make this a top-notch experience. I felt that the experience was clean, safe for all ages, and a learning experience I’ll never forget. For more information visit The Rouge’s Website. I enjoyed the Ford Rouge factory tour so much I made sure to take my family on the Corvette factory tour when we were in Bowling Green, KY.